The tool man's dream, the Super Hole Shooter has the most hand held power available. From turning the largest bits into steel to powering grain augers or other equipment that requires portable power, the Super Hole Shooter line of drills can handle it. 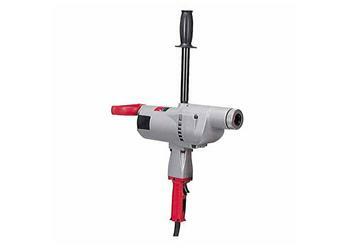 The 2404-1 drill features 250 rpm with a 1-1/4 in. capacity, furnished with a #3 Internal Morse Taper Socket. This is the standard to which all other drills are compared.